We're coming up on Evo, the biggest fighting game tournament in America. It will run Friday to Sunday from Las Vegas and be streamed online for the world to see. It'll be the biggest Evo yet. But maybe you aren't prepared—there are eight completely different games at this one event, after all, and what makes them exciting are beautiful and particular nuances that even the best commentators tend not to take the time to explain. This guide is a crash course in the basics of the nuances that make all the games at Evo unique, like how subtle changes in the ways characters move make Street Fighter so much more defensive than King of Fighters. I'm going to talk about movement a lot! Movement is The Most Important Thing in fighting games. This guide should give you the basics of cool things you should be looking for (so you can understand why everyone suddenly started screaming) and should help you decide which games sound most fun for you to watch. Do you love over-the-top action and ridiculous visuals? Marvel and Blazblue are probably what you're looking for. Prefer something visually clear and focused on fundamentals? Tekken and Street Fighter will definitely entertain. A fighting game allows each player the ability to choose a perfect counter to every single action another player can take, as long as you know what your opponent is doing before they do it. A fighting game offers ways to gain advantage such that you can ensure those choices are more and more difficult for your opponent. I've got tons of little fighting game aphorisms I can make up and throw at you, but I like those for right now. Though, maybe something like "Really Fast Rock, Paper, Scissors" or "Contact Poker" describes fighting games better. But I think those mostly tell the story about the first part without answering the second. Fighting games are about bodies in a space that can force each other to make choices. This is represented with martial artists or anime characters or superheroes punching each other, but what is really happening here is that you are fighting by making the space dangerous for your opponent while keeping yourself in a space that is safe. Starting all the way back with Street Fighter II, fighting games have been based on a little triangle of blocking, attacking, and throwing, which are the ways you have to force an opponent to make a choice. Blocking stops an attack and lets you respond with your own, while throws are unblockable, but are beat by attacks. There's other stuff, too, like: attacks that can only be blocked while crouching, attacks from the air that can only be blocked while standing, or how you can leap over an opponent while attacking such that they have to block from a different direction (they call that a cross up) and tons of other stuff even more specific to the game you're playing. You can force an opponent to make a choice. If they make the right choice, they are safe. If they are wrong, they get hit. And that's all. But what makes fighting games so interesting is that the contests are not always fair! In rock, paper, scissors, each choice is completely 100% fair in that every single interaction comes down to chance. But in a fighting game, it's possible to put an opponent in a position where their options are more and more limited—like hitting them with strings of attacks and filling the screen with fireballs—and that's why things like fireballs and uppercuts are so important. Using them correctly can limit the opponent's options and force them to become more predictable. Not even the greatest fighting game player can guess right 100% of the time, and eventually they'll make a mistake that will end with them losing. That is Every Fighting Game, but there are eight games at Evo, and each is very distinct even if it does look like it's just a different set of fictional characters beating each other up. Reason To Watch: A precise, defensive game where the beauty of fighting games shines without ornament. Here it is, the latest iteration of the game that nearly every fighting game is based on, and the one to watch if for no other reason than to understand what's happening in the others. Street Fighter IV gets compared to chess a lot, which I think is maybe a bit of a backhanded compliment—it's precise, methodical, and maybe a bit…slow. That's really deceptive, though! Street Fighter IV isn't slow, it's just defensive and high pressure, and that's the whole reason to watch it. Did you ever yell at your friend for throwing too many fireballs and told him he was cheap as hell and you weren't going to lend him any quarters? That is fine, we have all made mistakes in our youth. But now that we are grown up, we can appreciate why really obnoxious fireballs are the reason Street Fighter IV is the game that it is. Fireballs are strong in Street Fighter, you're not just imagining that; they allow players to control space (by filling that space with fireballs) and pressure opponents into making those bad decisions that lead to a fatal mistake. Most classically, it happens when you throw a fireball and your opponent jumps to avoid it—because you can then hit them with Ryu's Shoryuken, a powerful uppercut that beats almost everything (except just blocking, which is why so many new players lose to it). Characters in Street Fighter are all based around either pressuring and controlling space or slipping through the gaps created in between that control. When you played in the fourth grade, you got hit by ten million fireballs and called them cheap forever, but at Evo you will see players delicately slip past them with perfect timing or use the focus-attack-dash-cancel to absorb a single hit and then quickly recover—the FADC is a very important tool to prevent pressure from becoming too stagnant and too oppressive. Norcal regionals 2014, Daigo (Ryu) vs Filipino Champ (Dhalsim). Daigo uses the Focus Attack Dash Cancel to absorb Dhalsim's low kick and continue pressure. Reason To Watch: A faster and more offensive game with weaker defensive options, but still focused as much on the fundamentals as Street Fighter. King of Fighters is fast. In Street Fighter, a dash moves a character a short distance very quickly, with a distinct pause at the end of the leap. That limits movement. But if you input the same move in King of Fighters XIII, the characters break out into a full run for as long as you hold the button. They can cover distances quickly, and at all kinds of angles. There are four kinds of jumps in King of Fighters—a normal jump, a short and quick hop that stays close to the ground, a slightly longer and higher version of that jump, and a super jump, which gives characters four different angles to leap out of, effectively confusing opponents. Combined with weaker and less devastating dragon punches, King of Fighters is much more aggressive and fast paced. There's also a roll that makes characters move forward while becoming invincible to fireballs. So while fireball pressure in this game is powerful and very real (look out for Saiki) it doesn't stop anyone in their tracks and you won't see players stalled out in the same way. King of Fighters is focused on fundamentals, just like Street Fighter, but it also has a special meter that allows for absolutely absurd combos. In a game where each player fights with three characters—one at a time—momentum is very strong and it's hard to pull off comebacks. The HD meter helps a bit with this while still not granting too much of an advantage to an opponent who has made a lot of mistakes. Matches in King of Fighters tend to be very tense or completely dominating for this reason. Fans of KoF appreciate the simple honesty of a game in which when you get beat, you are definitely beat. Evo 2013 King of Fighters XIII grand finals. Hee Son Woo (Kim) vs Reynald (Benimaru). Reynald uses drive cancels for a combo to turn the match around at the last second. Reason To Watch: An over-the-top fighter with extremely unique and unusual characters, and fast air movement. You will hear BlazBlue described as an "anime game," which sounds like it refers to fighters that contain at least one catgirl. In actuality it refers to games in which you can dash in the air, making "airdash fighter" the more correct term. But considering the fighting game community's favorite thing to do other than play fighting games is to make fun of themselves and each other, "anime game" has kind of stuck, even around the people whose game the joke is at the expense of. BlazBlue is fun because it is just so over the top. In BlazBlue, nearly everyone can dash (or backdash) through the air, so they kind of fight like they are in an anime, too. Plus, you can block in the air, so being in the air is much safer and not automatically a place where you will just be swatted out of the sky (did you know you can't block in the air in Street Fighter?—This is why you should stop jumping so much!). They can even double jump like they do in Castlevania. All of this means that BlazBlue takes place in the air—even more than King of Fighters does—both because it's possible to stay up there with jumping and dashing, but also because it's safer to be there, and getting in and out of trouble is so quick and easy that there is a lot of dancing about and exchanging blows. But BlazBlue also has long, highly damaging combos, so random hits can instantly turn into big damage, which looks totally effortless but is actually incredibly hard to do when you aren't as good as the people playing. BlazBlue is big damage, big projectiles, and tons of gimmicks and weird tricks and characters that do amazingly unexpected things. UFGTX BlazBlue Chrono Phantasma Top 8. 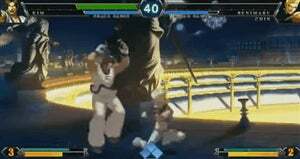 Bannanaken (Kokonoe) vs Pops (Platinum). As you can clearly see, Science Catgirl Kokonoe is turned into a bell by a Mahou Shoujo and thrown onto a present that turns into a rocket cat and launches her into the sky. Reason To Watch: The most over-the-toppest game of superheroes and video game characters where everything does billions of damage and everything is awesome and no one knows what is happening. UMvC3 (AKA "Marvel" or "MAHVEL BAYBEE") is a beautiful beast of a fighting game. It plays exactly how I'd imagine a comic book superhero fight going in real life — lots of chaotic action and overpowered shenanigans everywhere. It's hard to parse what's going on (even for experienced players), and as a player, a lot of your skill centers on designing and mastering a team combination so elegantly unfair that your opponent just wants to retire permanently. Marvel has three people, much like King of Fighters. But, unlike King of Fighters, you can call one of the reserve characters to show up to make an attack and then peace. Your actions remain uninterrupted. This tactic explains why Marvel screens are filled with so much garbage that even the players themselves can barely tell what is happening. Marvel is wild and every competitive team is extremely overpowered and absurd; but when everyone is playing a broken and ridiculous team, it ends up being fair enough to where it's exciting to watch again. Evo 2013, Ultimate Marvel vs. Capcom 3 Grand Finals. 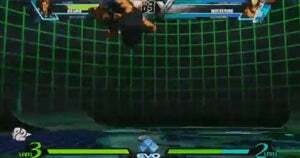 Justin Wong (Akuma) vs Angelic (Dormammu). Down to his last character, Justin Wong catches Dormammu in a combo and activites X-factor to kill him in a single combo. Reason To Watch: A game of amazing air movement where anyone can make a comeback. Melee might really stick out if you are not familiar with the competitive scene. What the heck is a game from 2001 doing in this tournament, especially when there's a more recent game in the series, right? It's also mostly known as a four-player party game. It's true that design on Super Smash Bros. has not historically been focused on competitive play; in fact, Super Smash Bros. Brawl (2008) was actively designed to discourage it, with a feature that gives characters a random chance to trip and fall on their face when trying to move. If you can just randomly fall on your face and lose at any time, it's not really very fair or interesting to watch in a tournament setting. I have heard that a lot of people feel somewhat alienated by the competitive community for taking all the randomness and goofiness out of the beloved living room funtime sport, but I've been enjoying its inclusion a lot more recently. The game offers a lot of room for movement and the way that you lose is unique: only by falling off the edge of the screen. Because of that, the game is very focused on comebacks and making comebacks extremely difficult. Characters have a lot of control over their movement and fly around the screen with double jumps and triple jumps. There are just so many choices that players can make for getting around. Even then, so much of the game is not just about throwing someone off the edge, but keeping them there. There are also nearly endless chances to make it back. That boils down to what the competitive community calls "edge guarding," which involves making it difficult for the opponent to grab the edge of the level's fighting platform to get back to safety. Since that often involves following them off the edge to swat them away, however, the tables can turn quickly. Evo 2013 Top 8, Super Smash Bros. Melee. 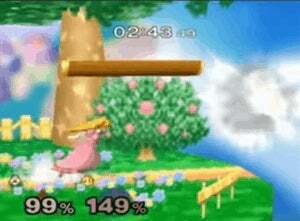 Peach (Armada) vs. Sheik (Mew2king). Sheik tries to keep herself safe by ducking off the edge while Peach looks for an opportunity to keep her off for good. Reason To Watch: A happy medium between over-the-top and visually clear. Let's talk about the fundamentals of fighting games again. Have you noticed how I have never shut up about movement once in this whole guide? Why do you think that is? 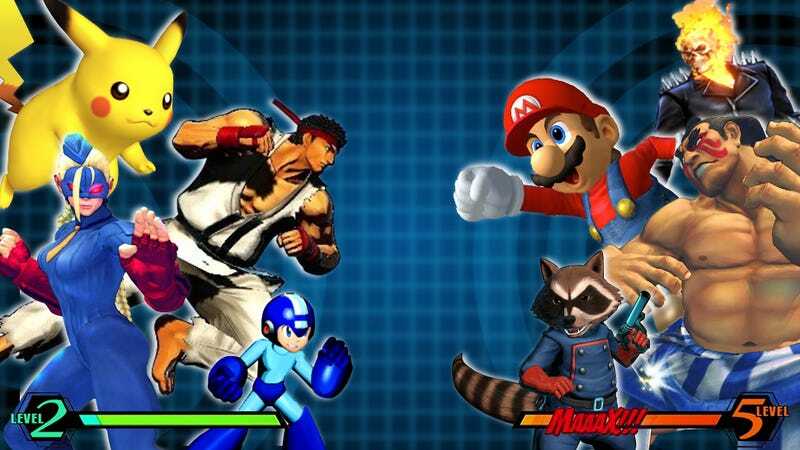 Because a fighting game isn't just a really fast round of rock, paper, scissors. It's a game about bodies in a space, and what space they are in makes the difference between being safe and getting hit. It's how characters get out of difficult decisions or keep opponents in difficult positions. Almost everything that makes fighting games truly interesting has to do with movement. Why do you think people simply walk in games like Street Fighter or King of Fighters when there are ways to move faster? Because they leave characters vulnerable for a brief moment; when you walk, you can stop walking and do whatever you want. It's the slowest form of movement, but you have the most control and the most options. This is why, by the way, players who jump constantly will lose all the time. Jumping commits you to a very vulnerable state in most fighting games, as you can't change direction mid air and your opponent knows exactly where you will be. If you know what space the opponent will be in, they are as good as hit. A lot of players call this tactic 'footsies,' because they are attacking cautiously and darting about in such a way that can be compared favorably to shy flirting. But it is also called 'neutral game' or 'spacing' because it is the state at which neither player has an advantage and because everything is about the distance between those two characters. Spacing in Injustice rarely uses quick normal attacks to control space like in Street Fighter, yet actually some characters are really good at it, like Aquaman in this video. 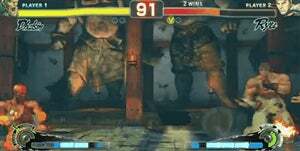 The fact that Injustice does not have footsies the way that other games do might help explain why this game looks so different than the others at first glance, but the fundamentals are still there. UFGT10 Injustice Grand Finals: Forever King (The Flash) vs. Theo (Aquaman). The wager mechanic allows players a single chance to interrupt a combo and make a bet to restore some of their life. Reason To Watch: A relatively new game that competitors are still exploring; also a game where advantage shifts quickly. Killer Instinct is the youngest game at Evo—both in terms of how long it's been out and how many versions of it have been made—so high-level play is still developing. One reason the aforementioned Melee is still around is because it's still a game where people are finding out new ways to play it even after it's been out for over ten years. Games are tinkered with and changed and retuned and improved, but it's the players who find out how to use those tools effectively. Characters have gone from being barely competitive to top tier without a single change to a game, based solely on a player finding an effective way to use them. Part of the contention of Killer Instinct comes from its combos—it's a game that was built around increasingly long and ridiculous combos, but it also gives opportunities to break out of them. Some games, like Injustice or Blazblue, give once-per-round options for escaping combos. In Killer Instinct, however, you break out of a combo at certain times if you press buttons matching the strength of your opponent's attack. In theory, this is an interesting idea; once you hit the opponent by making them make a wrong choice about how to defend against your attack, you have to keep the combos unpredictable or else your opponent will escape with a combo breaker. This can mean that the attacker's hard work in scoring the hit in the first place is completely wasted, so it could be frustrating, too. Killer Instinct is such a young game that its limits have not at all been explored. But Evo is the place where high-level experimentation happens, and what kind of game Killer Instinct even is has barely been determined yet. Evo will be a stress test for this young game, and it'll be very interesting to see how it survives. Socal Regionals, Killer Instinct Top 8. 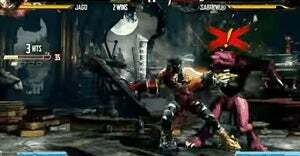 Chris G (Sabrewulf) vs Mr.Grimmz (Jago). The exclamation point means that Saberwulf is unable to combo break for three seconds after incorrectly attempting one already, but he manages to get it right the second time. Reason To Watch: A classic 3D fighter where smart and technical movement trumps all. Tekken Tag Tournament 2 is the lone 3D fighter at Evo. It plays differently than the rest of the games, but not as much as you might expect. Tekken actually takes place mostly in two dimensions, much like Street Fighter, but one of those dimensions is side-to-side instead of up and down. In (very) simple terms, it's the difference in perspective between The Legend of Zelda and Super Mario Bros. This kind of movement is much, much different than what we've so far been talking about. Combined with the complete lack of projectiles and long ranged moves, it means that players are often pretty close to each other, circling and moving in something that kind of resembles real martial arts. Tekken characters frequently look like they are twitching anxiously, but this is actually due to very precise spacing. It looks so twitchy because the range is so slight in Tekken that the difference between a missed attack and one that connects is incredibly slight. Plus, in Tekken Tag, a combo does so much damage that a match can end in something like two or three mistakes. Tekken lets players switch between two characters, each with their own health bars that recover while they're in reserve. The match ends as soon as one character loses all their health. Matches can turn into shutouts if players don't switch, particularly because switching leaves you vulnerable if it isn't done safely. Tekken is very technical and the movement is so much harder to execute than it looks. Compared to every single other game here, Tekken isn't flashy. Its technical depth is subtle and easy to miss. It's not friendly to beginners for watching (let alone playing) but it's as sweet and technical as Street Fighter and King of Fighters. UFGT10 Tekken Tag Tournament 2 Grand Finals: Mateo (Jack) vs. Obscure (Alisa). Alisa dances delicately around Jack's attacks, but her attempt at attacking Jack ends with a block and counterattack. I hope that helps you decide which games to watch from Evo this weekend. The truth is, I explained about one tenth of what you should know to understand what is happening in these games. This guide is short and simple, but if you want to know how fighting games work in fascinating depth, Patrick Miller has written the most amazing and deep guide on it. Aevee Bee is a gay flannel anime lady and the editor of ZEAL, an online micro zine with cool art and coverage of overlooked games from exciting new writers and artists. She runs an extremely self-indulgent twitter account and contributes regularly to Paste magazine.